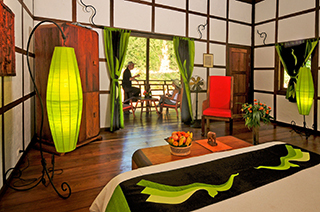 The Muang La Resort is located in northern Laos, equally distant from China and Vietnam. 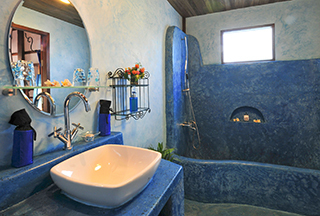 Its goal is to provide guests with a place to have a retreat in a natural setting. For that matter, it is ideally situated. Indeed, it is set in the rain-forest, in a non-touristic region. The neighboring village only has a hundred inhabitants. Environment-friendly, participating in local development projects, the hotel only offers 10 rooms that are dispatched within five wooden villas. Each room features its own private balcony. It was built according to traditional Lao architecture. 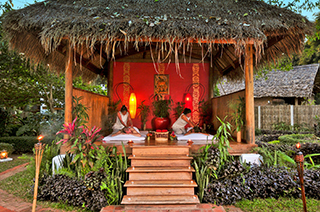 The Muang La Resort stands near a natural hot spring that provides water for the spa. The spa is built 4-meter high in order for the guests to enjoy the amazing scenery of the river and the mountains. Besides, the restaurant offers Lao-Thai cuisine but also the possibility to set up your meal anywhere you would please: on your private balcony, in the garden, on the small island facing the resort… Anything is possible! Cooking classes may also be set up upon request.